Bundesliga | Unlimited Official Fantasy Bundesliga transfers - act now! Fancy some American flair in your team? You can get Christian Pulisic and Co. on your Official Fantasy Bundesliga side! 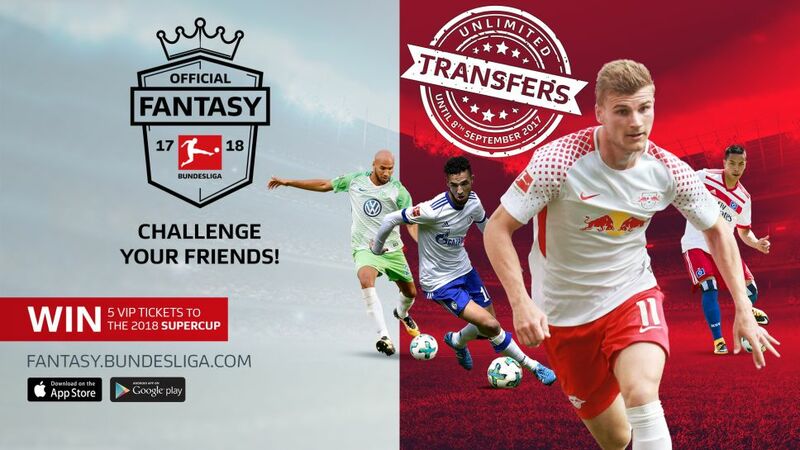 Unlimited Official Fantasy Bundesliga transfers - act now! Disappointed with your Official Fantasy Bundesliga team's performances over the first two games of the season? Wish you could pick your squad all over again? Well do not fret, because now you can! That is right! Although the transfer window is closing for the likes of Carlo Ancelotti, Peter Bosz and Ralph Hasenhüttl, the same is not (yet!) the case for our armchair coaches. You have until the start of Matchday 3 to make UNLIMITED transfers. So what are you waiting for? Click on the banner above and ensure you have drawn all the right conclusions from the first two Matchdays by remedying your initial squad selection with as many ins and outs as you please. Watch: Deadline day deals: snap them up now! To help you make some of the most important decisions of your summer, why not take a look back at the star performers from the first two Matchdays of the season? And to help keep abreast of all the new faces who are also available for inclusion, do not forget to check out our transfer centre, with all the latest arrivals to the Bundesliga clubs this summer transfer window.